Though born in Beijing, China in 1960, Wang Shugang lived for ten years in Germany’s Ruhr region. He returned to live in Beijing, China in 2000, at 40 years old. Wang Shugang is one of the leading contemporary artists in the post revolutionary breakout period of the mid 1990s, referred to as Cynical Realism. He, together with his contemporaries Yue Minjun and Ai Weiwei, playfully and astutely mocks the history and political events of the Cultural Revolution and Maoist China. 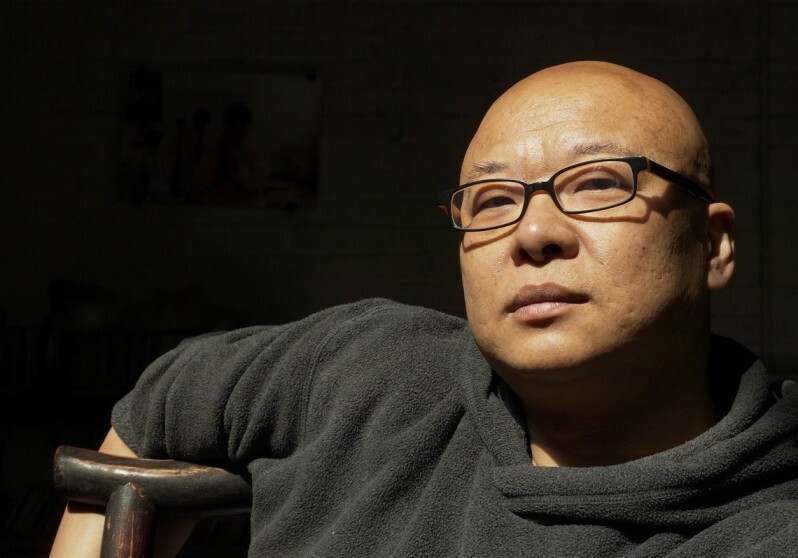 Since 1991, Wang Shugang’s works are regularly seen in solo exhibitions in Germany and China. 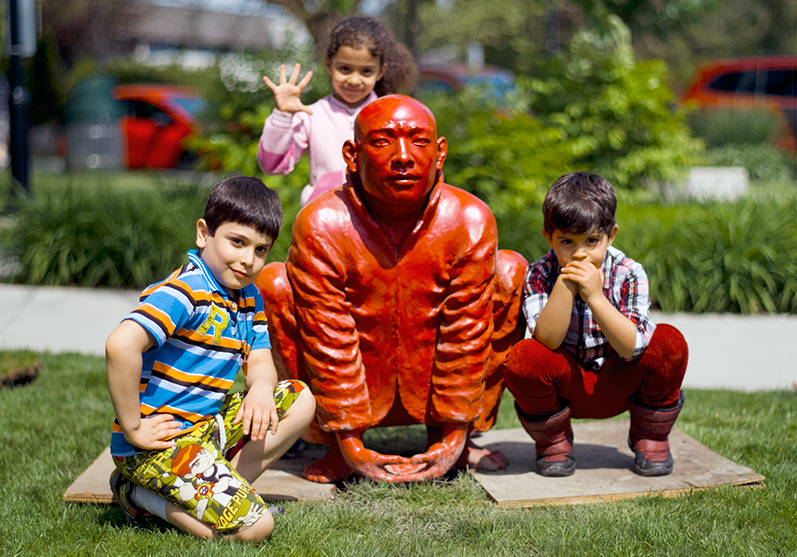 Wang Shugang’s figurative sculptures have been influenced by both the Western art tradition and contemporary twentieth-century realism while also expressing Buddhist iconography combined with Chinese everyday culture. 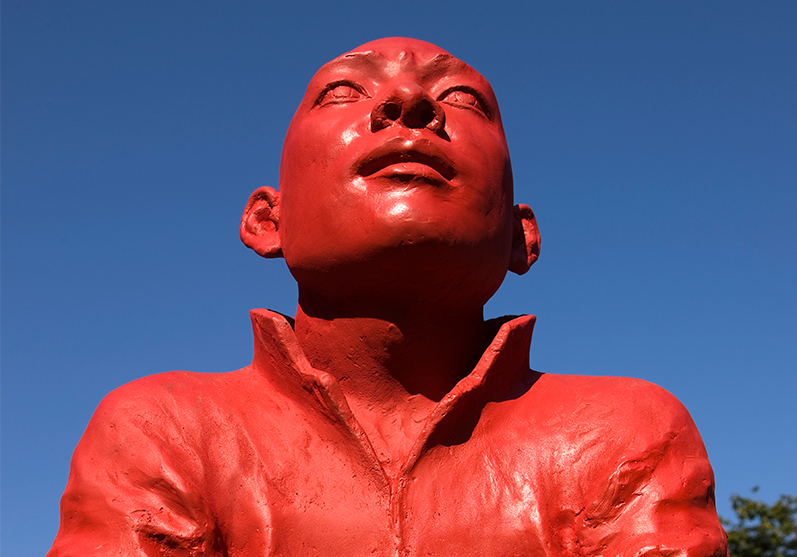 The artist generally uses only a few colors on his sculpture, painting them solid red, white, black or bronze. These colors have become a kind of language or a trademark of the artist. 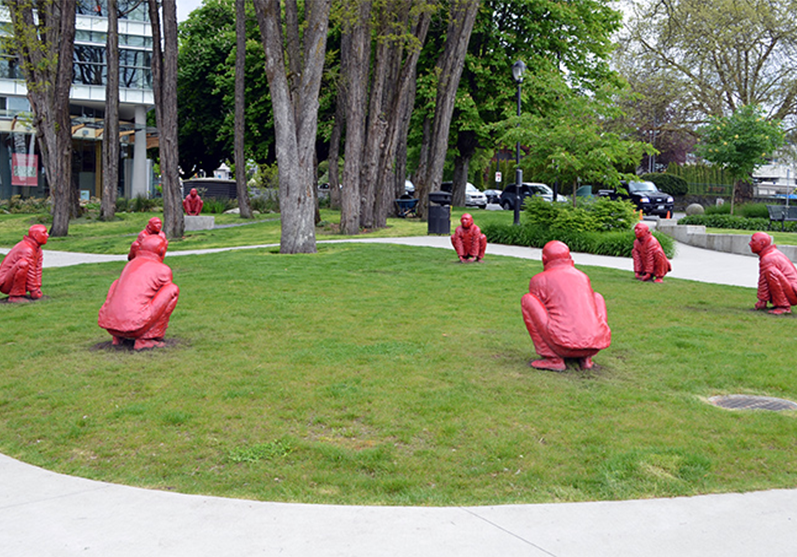 Typical of the work of Wang Shugang are the red “sweeping monks” and the “squatting” figures.